Home › Electronics › Noot Earphones E320 In-Ear Earbuds With Microphone And Noise Isolating Headph..
Noot Earphones E320 In-Ear Earbuds With Microphone And Noise Isolating Headph..
Ultra-lightweight, comfortable design. Replace your old earphone or add another set for your home, work or travel. Built with high-performance speakers for extended frequency range, lower distortion, Hi performance and noise isolating ear tips eliminate ambient noise. In-line remote control with play/pause, hand-free calling, record memos or use voice control with built-in microphone on high tensile tangle-free flat cable. Ideal for all Apple device's, Androids smartphone, Windows Phone, MP3/MP4 Player, portable music's Player. 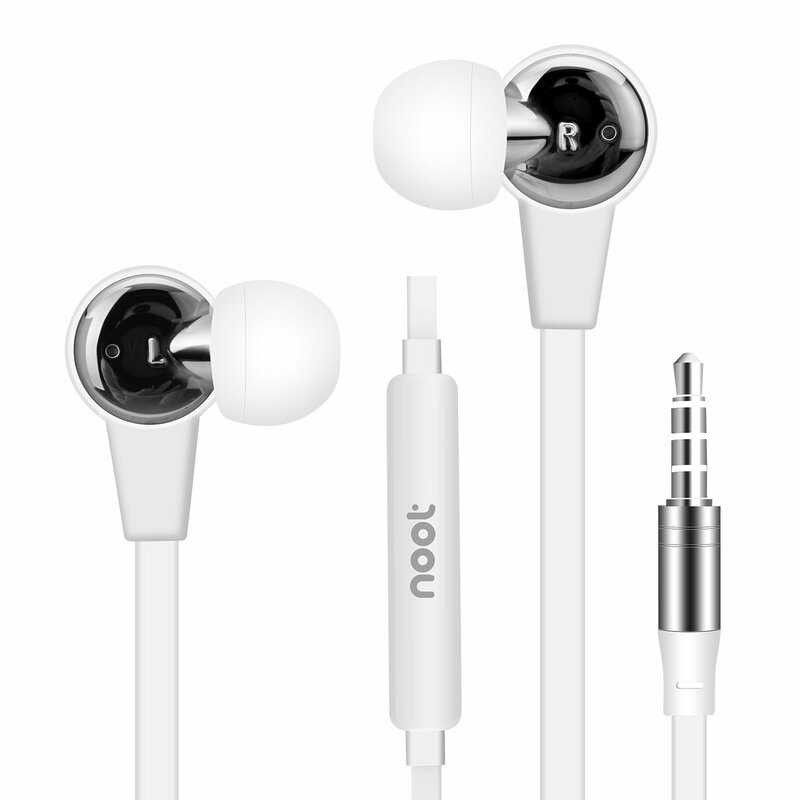 NOOTPRODUCTS : smart, simple, sleek and trendy join the millions of satisfiedcustomers bringing the latest technology, style and fashion with affordablepricing hassle-free warranty: we Stand by our products are here to ensurequality for a lifetime super bass our noot-earbuds uses high performancedriver that bring out the bass in your favorite tracks, as well as enhancingmids and highs so that every Note is clear and crisp. Noise isolation in-eardesign that not only provides a comfortable and Secure fit, but also reducesambient noise from your surroundings so you hear only what you want to hear:your music. Hand-free your music keep moving and blasting you never have tobreak Stride. The Built-in mic and remote allows you to easily change tracks,play / pause, or you have an incoming call, you can easily switch by a clickthe remote to answer the call. Universal compatibility noot-earbuds is fullyCompatible with both Apple and Android so you don't need to switch betweendifferent earphone for your devices. Simply just plug in and jam away. Qualityguarantee at noot products, We're not only sell great products, we also backthem all up with 24-Month manufacturer warranty and provide friendly, easy-to-reach support.